Take me to the beach party! 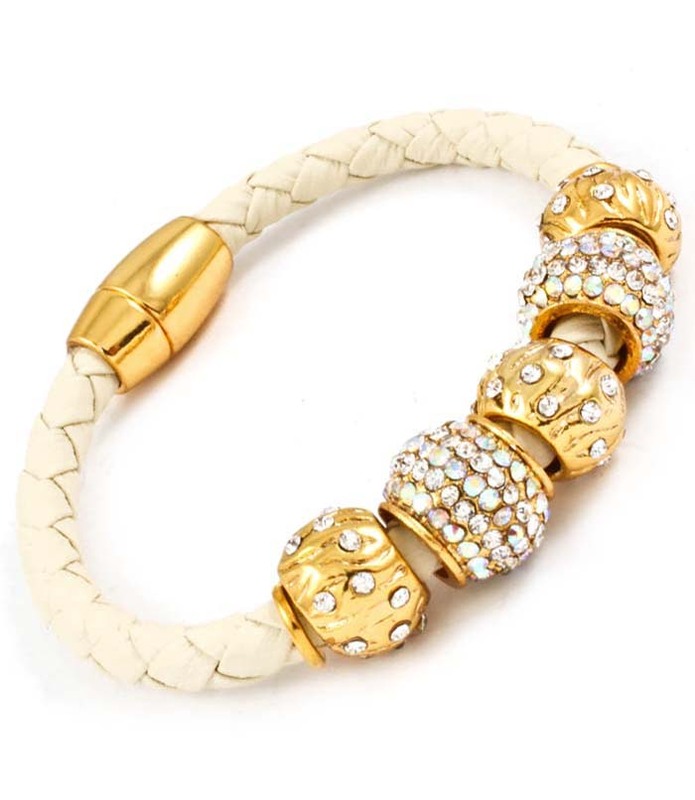 The Carly is a single plait of white faux leather complemented by gold-plated spherical beads sparkling with clear crystals. The perfect accessory for an 'all-white' dress code. Discover one of Australia's largest jewellery shops right here right now!